Hi All, Got an issue with the right cylinder on my Gt250. It runs noticeably cooler and has a very muted exhaust note compared to the typical ping/pulse of the left side, it is also running very oily on the right side with a lot of visible oil on the exhaust baffle. In addition, whilst the left cylinder will happily idle with the right plug cap off, the right side will not idle at all on its own. I've pursued all the normal fault finding avenues.... swapped coils/plugs and leads/condenser & points and all the wiring and connectors in between and the problem remains firmly on the right side, compression readings are fairly similar at around 120. Carbs have also been fully stripped and checked. I'm starting to consider the possibility of crank seals being the possible cause, so any help hints or advice would be much appreciated before I get the spanners out! Hi, is the right-side exhaust baffle clear, and is the actual exhaust itself free of carbon and crud? If I remember right, the pipes on GT250s are one piece with the header welded to the main body of the exhaust. On the GT380 triples which have a similar one-piece pipe, you get a ring of carbon/crud build up where the header is welded to the exhaust. This acts like a restrictor washer. The only way to get rid is to remove the pipe and poke something flexible but strong down the header, like one of those springy drain-clearing snakes you can get from DIY shops. Banging the seams of the silencer with a rubber mallet also helps loosen built-up crud, which you can tip out of the pipe. Give that a go before looking at seals, etc. Except the first thing that should be checked BEFORE ANY type of troubleshooting.....the battery.....even if it is brand new. Maybe you have checked it and just not mentioned it. I'm not saying that's the problem but a lot easier to eliminate that first as the problem. 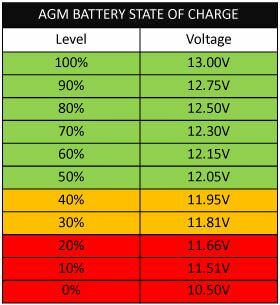 Charge the battery to 13.00 V (surface charge will eventually dissipate and should hold at 12.6 if a flooded type battery. That reading should hold overnight with the battery at rest and not connected to anything if the battery is good. A good quality mini battery hydrometer for testing each cell is also a nice tool to have. After you address the issues Craig380 & dorT500 mentioned, you need to balance the carbs. Sync the carb slides so they reach the top of the carb inlet at the same throttle opening. Then balance the idle rpm when running on one cylinder. With the right cap off, see what rpm it idles at. Then with the left cap off, adjust the right carb idle to get the same rpm. Then with both caps on, adjust both carbs the same amount to get a good idle rpm. If this solve the problem, you might need to tweak the adjustment after the bike has been run for some miles to clear out the right cylinder. I had a similar problem with the GT380 cafe build. Doing this made a big difference -- much more than I would have expected. hi mate, first thing to know would be, what model of gt250 is it? the ramair models and the later 250a had different oil feeds to the crank main bearings. on the earlier model the middle bearing was fed by the gearbox. on the later model the right hand bearing was fed by the gearbox. need to know which before i can help you further. Thanks for your reply dollydog haven’t been able to get on the site due some bandwidth issue so apologies for the late reply. It’s a 1973 250k. As for the header leak, I’ve so far been unable to get a decent flush fit between the header stub and the pipe flange. Tried filing the footrest mount to allow a bit more adjustment but it almost seems like the engine needs tilting backwards to get the two surfaces parallel.